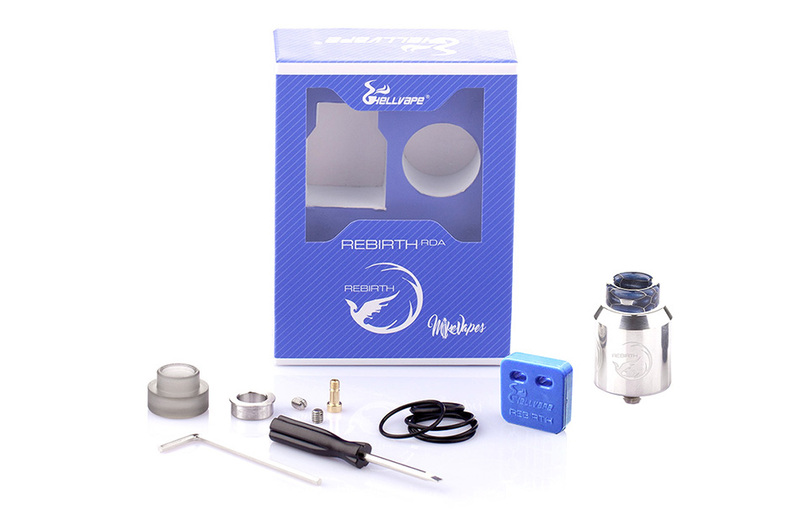 The Hellvape Rebirth RDA is a 24mm rebuildable tank designed by Mike and Hellvape. It comes with two-post deck for easy coils building. 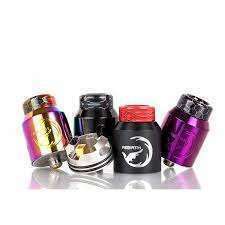 Featuring 16 1.2mm bottom adjustable honeycomb airflow for each side, the Hellvape Rebirth RDA will bring a wonderful vaping experience with great taste. Together with a gold plated squonk pin, the Rebirth RDA also can be used with Squonk MODs. 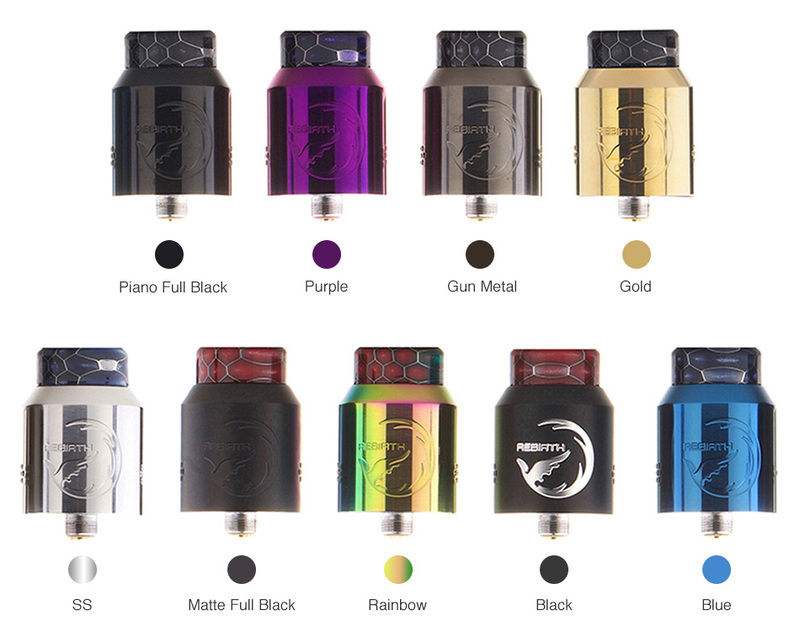 Plus the top cap locking system with adjustable airflow, 6mm deep e-juice well and 810 drip tip, the Hellvape Rebirth RDA is definitely a great flavor-chasing RDA. It doesn’t come with e-liquids, please buy them separately.